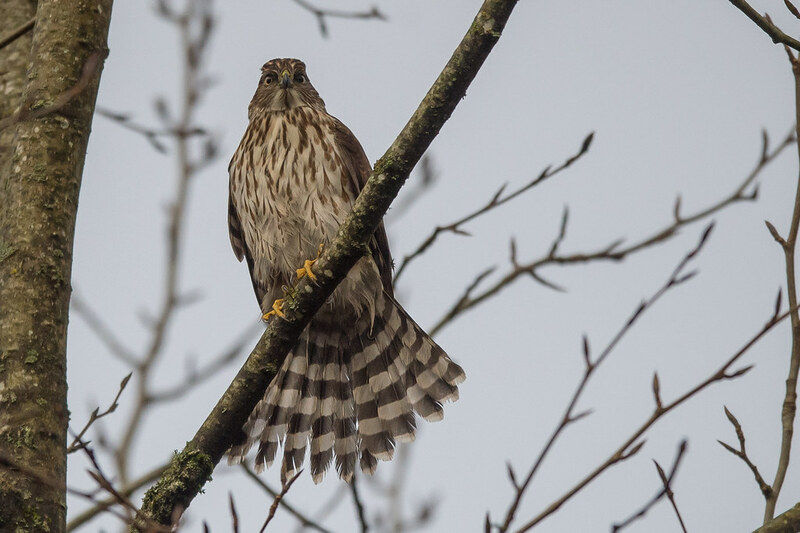 Maplewood Flats... Sharp Shinned or Cooper's hawk ? 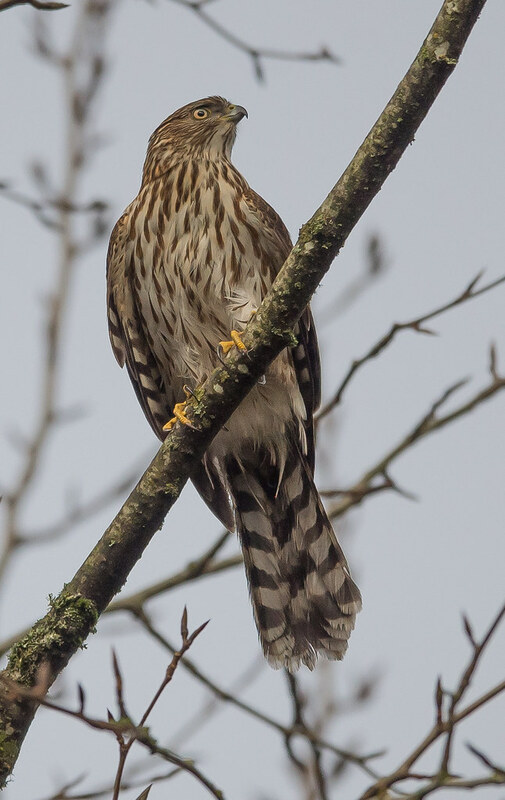 Someone suggested this was a Sharp-shinned Hawk while at Maplewood Flats - the tailfeathers do set up more "squared" when they are closed (vs rounded for the Cooper's) but the Cooper's are more common in the area I think ? Always a popular debate... I would go with sharp-shinned from initial impression, but I don't have a lot of data to back that up... narrow whitish band at the end of the tail, doesn't look very broad to me... in that pose, the rounded vs square tail is going to be pretty hard to use, and isn't the most reliable in the first place. 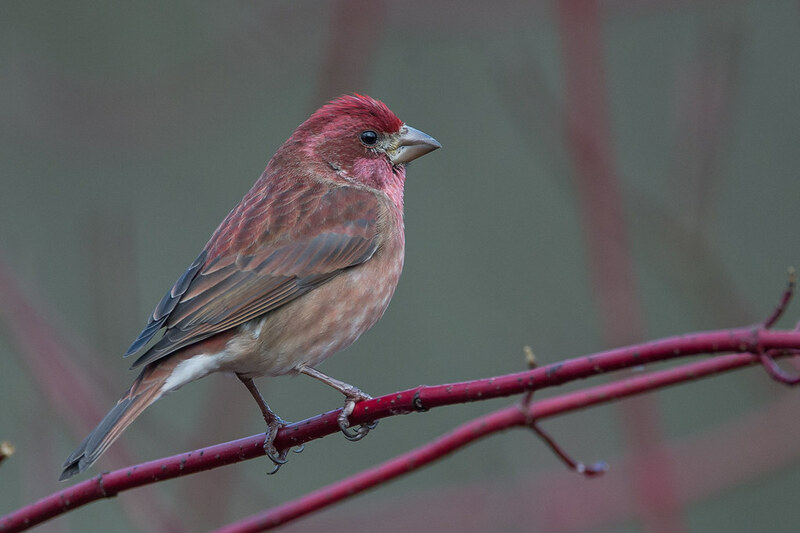 Your house finch is a purple finch. I believe I saw this same bird on the 2nd and eventually decided it was a Cooper’s. You can see how the throat of the Cooper’s has a stripe in the center surrounded by white, and its chest markings get thinner as they go down. This matches the Maplewood bird. I noticed that this bird was about the same size as the (smallish NW) crows that were harassing it, which means it fits the profile for either male Cooper’s or female Sharp-shinned. Also, juvenile sharpies usually have whitish eyebrows which this bird didn’t seem to have. I’m not 100% sure but that was my thought process. In the first photo, the belly streaks are narrow, dark, and sharply defined. On Sharpy they would be rusty, broader, and more blurry. On the spread tail, you can see that the outer feathers are shorter than the central ones, = Coop. In the second (last) photo with tail folded, the overlapping of the graduated tail feathers is conspicuously evident. Slam-dunk for Coop. That's the resident Cooper's Hawk immature! 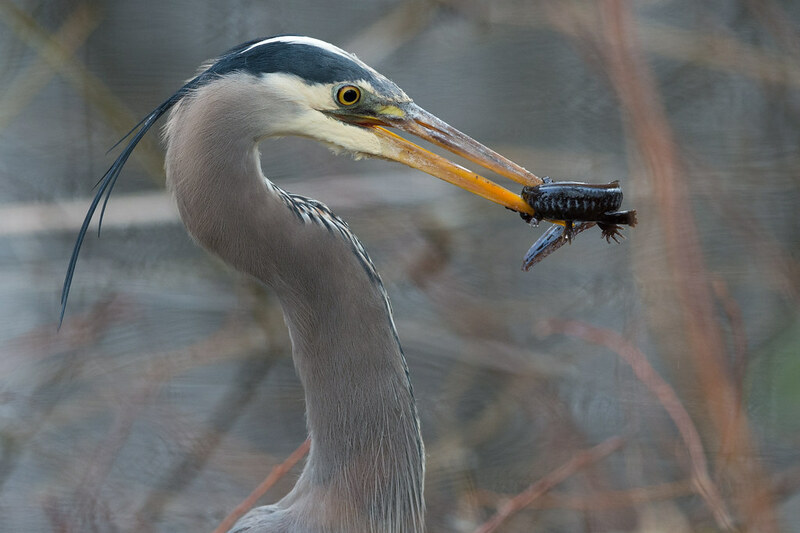 Great shot of the Pacific Great Blue Heron with the Northwestern Salamander! Was that at the West Pond? 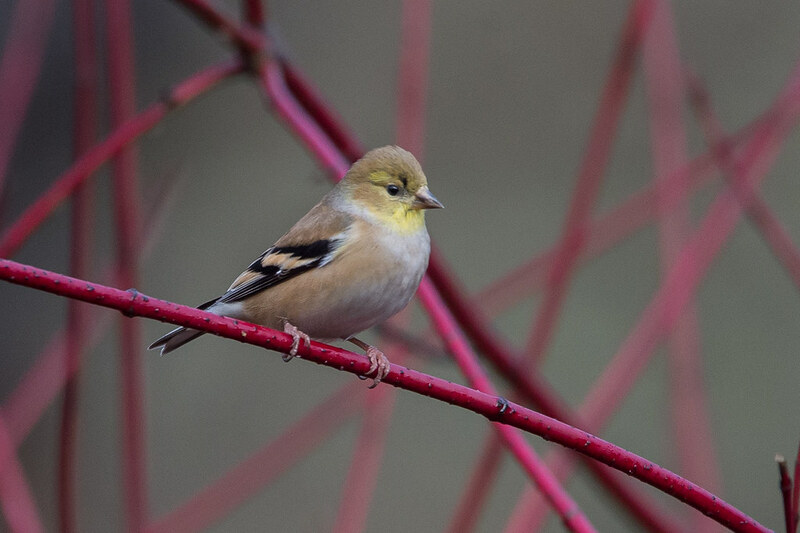 The American Goldfinch are getting their breeding colours back slowly! I was at Maplewood Flats yesterday, but couldn't find the Northern Goshawk! May I have a copy of your Great Blue Heron snacking down on a Northwestern Salamander photo? I am working on a study of Amphibians at Maplewood Conservation Area and you have a great shot! Chloe Hartley is the one that did an underwater survey of amphibian eggs and I am sure she would love to see your photo! 2nd photo is no doubt in my mind now either!